At Hobbs Dentistry, taking care of your dental health includes monitoring the condition of your jaw joints, or temporomandibular joints. The temporomandibular joints (TMJ) are located on either side of the lower jaw. The surrounding ligaments and muscles allow these joints to operate like sliding hinges, giving us the ability to open and close our mouth. Like other joints, we depend on the TMJ to function hundreds of times per day. Normal function is difficult, however, for patients that struggle with chronic TMJ pain and related symptoms, a condition known as temporomandibular disorder (TMD). Dr. Rebecca Hobbs provides treatment planning and pain management therapy for patients with TMJ disorders in our Augusta dental office. 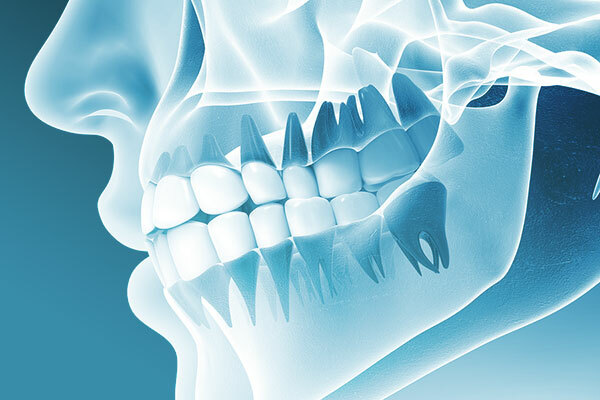 TMJ disorders can be very complex and may be connected to other health issues, including arthritis, genetics, skeletal and muscular conditions, teeth grinding (bruxism), teeth clenching and sleep apnea. Following a thorough TMJ analysis, Dr. Hobbs will work closely with you to identify underlying causes and recommend measures to help you return to pain-free daily function. Treatment for TMD varies with individual needs. To alleviate symptoms, Dr. Hobbs may recommend a soft diet and warm, moist or cold compresses and simple exercises to stretch and relax the jaw muscles. In some cases, Dr. Hobbs may design a removable biteguard appliance (also called a bite splint) for the patient to wear for several hours per day. The goal of a TMJ bite splint is to reduce pain and promote healing by stabilizing the joint and guiding the surrounding muscles to a relaxed position. Some patients wear a mouthguard during sleep (referred to as a nightguard) to help prevent bruxism and teeth clenching, a common source of stress on jaw and facial muscles. If you are experiencing jaw joint pain or bruxism, please Contact our local Augusta dental office to schedule an exam and consultation appointment with Dr. Rebecca Hobbs. Dr. Hobbs will evaluate your needs and provide you with recommendations to help you enjoy a pain-free smile again.